Timeline is a trip through time, past dinosaurs, Vikings, Aztecs and spaceships. 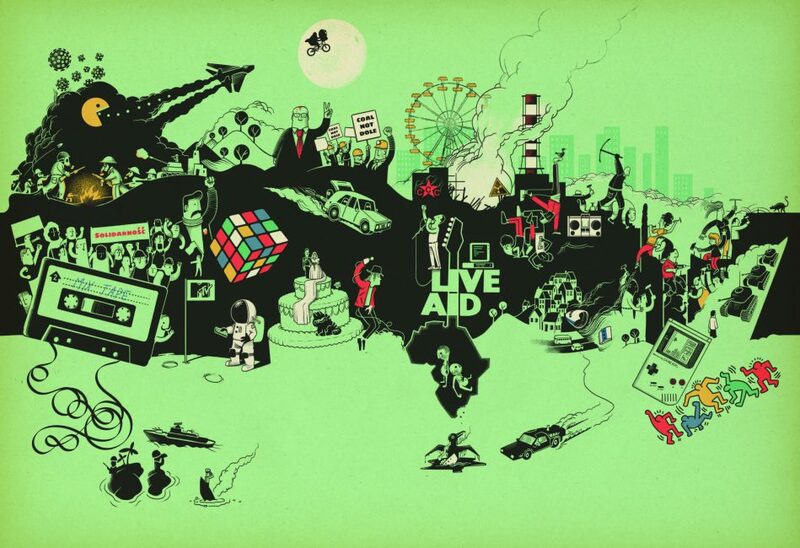 It looks at wars and disasters; introduces artists, explorers and leaders; shows us living in castles, yurts and skyscrapers. 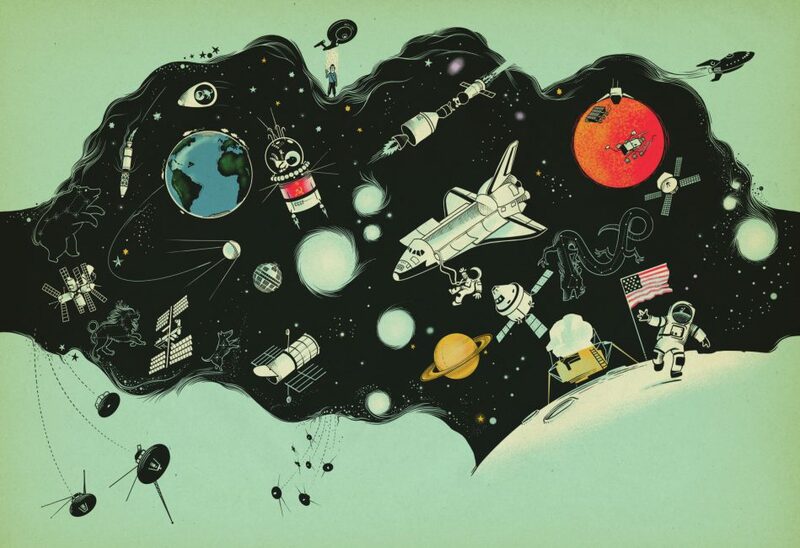 And it does not neglect the imagination—here too are dragons, mythical figures and TV characters, alongside world-changing inventions borne from the imaginations of scientists and explorers. Each scene puts global events in perspective, in space and time. 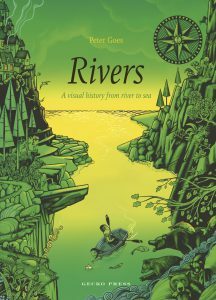 A perfect introduction to history for young and old, this illustrated journey through our world’s culture and events travels from the Big Bang to the iPod and into the future. Well, supersize me! 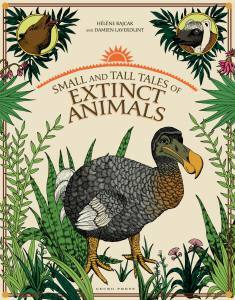 2015 has brought a wave of large-format non-fiction books – but none as comprehensive in scope as this. 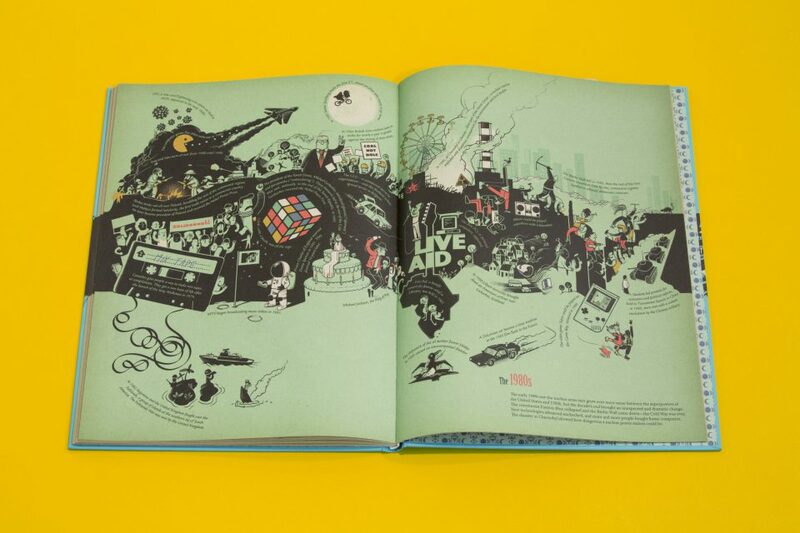 An explosion of information in giant, annotated montages of imaginatively represented detail, from the Big Bang to Charlie Hebdo. Stylish, comical and serious, it deserves to be pored over. Kim Hill: I’m going to read Peter Goes’s Timeline again and again until I know everything. 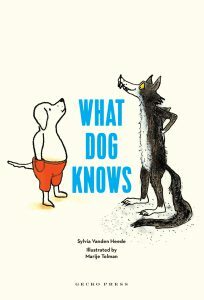 Kate De Goldi: For any child who learns through graphics or through pictures, this is a gift… I can’t recommend it more highly. 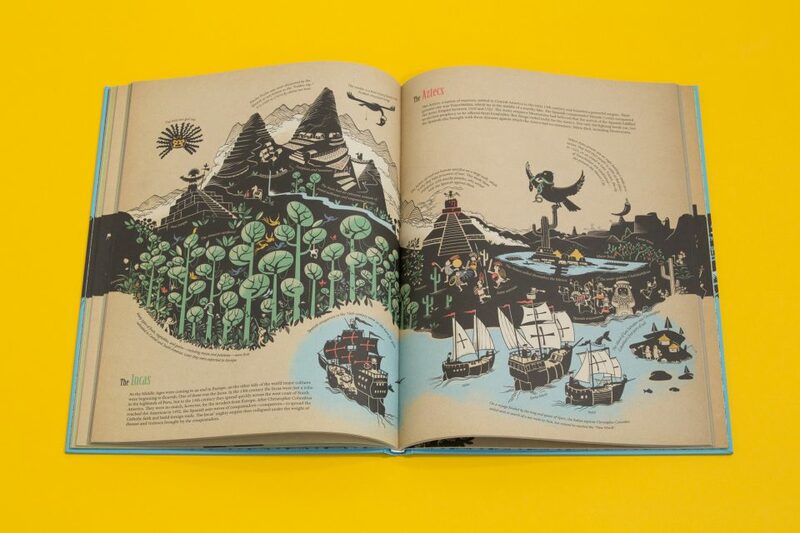 By combining chunks of text with infographics and delightful cartooning, Goes creates a rich, accessible treasure trove of facts and figures. Hugely informative, hugely entertaining. 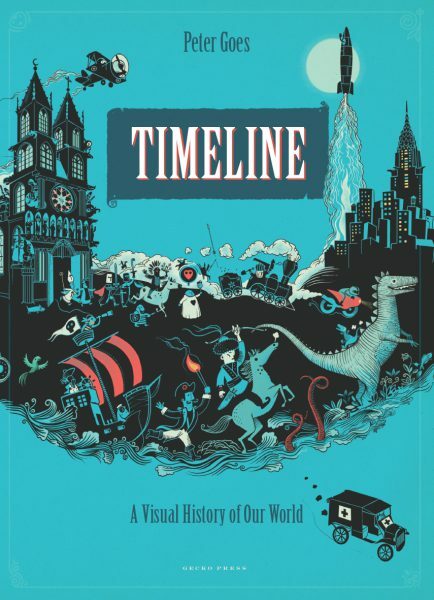 Peter Goes’s stunning Timeline: A Visual History of Our World, with its ribbons of pitch black winding through subtly-coloured, deeply involving pages, perfectly lives up to Gecko Press’s avowed championing of work ‘rich in language and illustration’. Utterly breathtaking and bursting with detail. 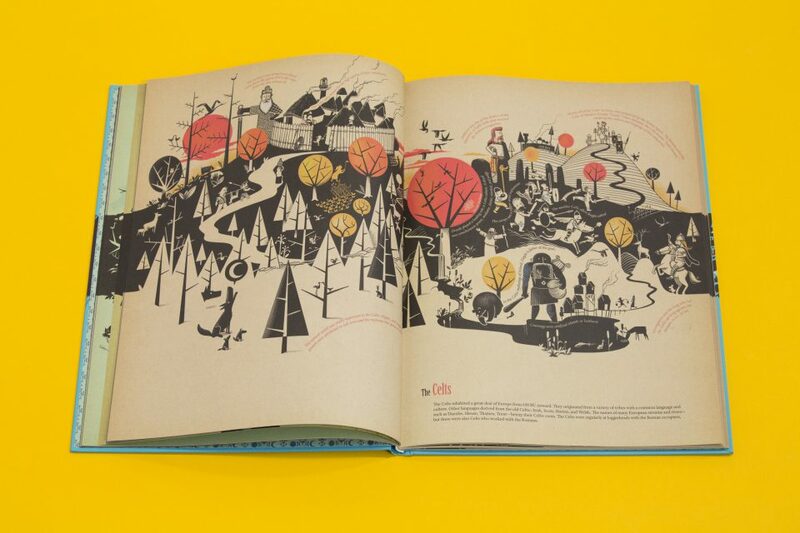 … No stone is left unturned in this graphical feast for the eye.